Cycling 2G (2G, Discard this card: Draw a card.) 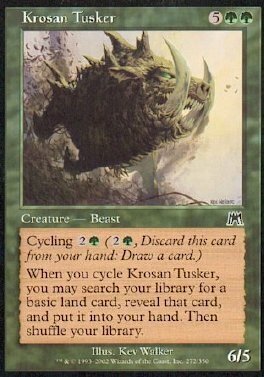 When you cycle Krosan Tusker, you may search your library for a basic land card, reveal that card, and put it into your hand. If you do, shuffle your library.